This post may contain affiliate links for your convenience. If you make a purchase through one of my links I will earn a small commission at no additional cost to you. 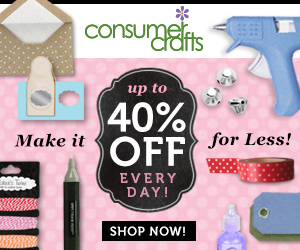 Hello my crafty friend! Today is the 2nd day of the 12 days of free Christmas SVG cut files! And I have some free Christmas gift tag SVGs for you. Yesterday on day one I made a free ‘Merry Christmas’ SVG full of wonderful swirls that you can see here. And as I mentioned today is free gift tags. I designed six of them just for you. I cut mine with my Cricut Explore cutting machine. And I used some pretty Christmas cardstock to cut them out of. But plain white or colored paper would look good too. The cardstock all came in one pack by the paper studio. It’s called Pine St. Square and you can find it here. There are 20 different designs in the pack. The file for the free gift tags includes both an SVG file and a PNG file. The tags are automatically sized for 4 inches long and 2 inches wide. But you can adjust the size as needed in your design software. You can even choose a writing font on your Cricut and use Cricut pens to write the to and from on each gift tag for you! It’s such a handy little machine. All six of the gift tags are in one file. If there are some designs you don’t want to cut just ungroup the file and delete the ones you don’t want to use. There isn’t any attaching or welding you’ll need to do either. Just upload to your design software and you’ll be ready to make it. But don’t forget to flip your cut mat over and peel the mat off of your paper. That greatly reduces the amount of paper curl. I keep all of my free SVG files in a resource library for your convenience. It’s like a one-stop shop to grab all of your downloads at once. And by the end of my 12 days of Christmas series, there will be 12 free Christmas SVGs just for you! The library is free to members of my weekly newsletter. To sign up and get your free Christmas SVG files just fill out the simple form below. The link and password to the library will be sent to you immediately. Don’t forget to PIN IT and share the Christmas Spirit!